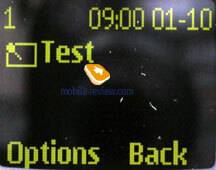 Nokia 1110 is a low-end phone, which differs from the predecessors Nokia 1100 and 1101 in the body design, inversion screen with yellow backlighting and a new simplified menu. 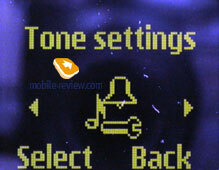 Besides, the new phone is equipped with 20-tones polyphony. 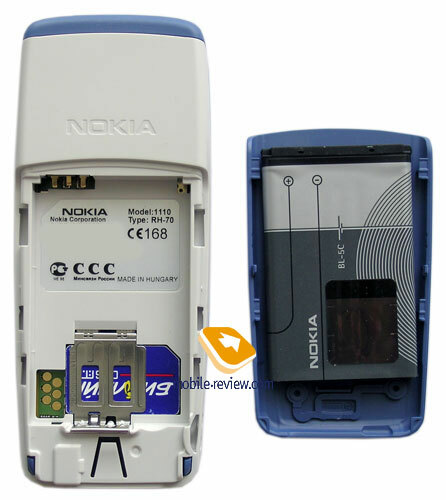 The model was announced at the same time with Nokia 1600 (you can read the review), and namely the 1110 is a plainer version of the 1600. Even in design it more resembles the 1600 than the 11xx series predecessors. This model is a candybar with slightly splay corners. Phone size is not big and forms 104x44x17 mm, while the weight is 80 grams. You can carry it in a trousers and shirt pocket if you like. 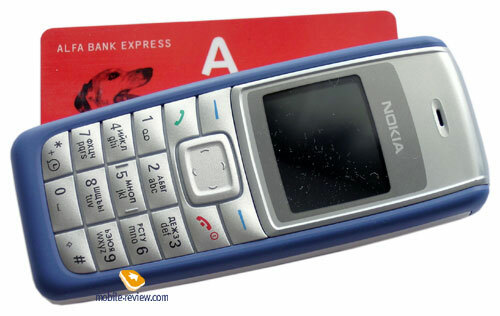 The phone body is made of plastic and is smooth by touch. 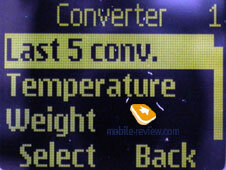 Traditionally for Nokia the phone has interchangeable Xpress-on panels, that is why the body creaks even at slight pressures. The general impression of the body is positive, especially if you remember that is a low-end phone. 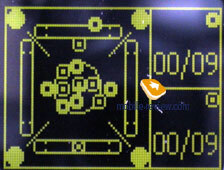 The loudspeaker gap is placed on the side surface, and another one found room on the top, this allows carrying the device without a fair of missing a call. A strap hole is placed on the bottom of the left panel. Traditionally the bottom end holds an interface and a charger connector. 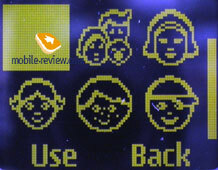 A small monochrome inversion screen features the front panel (the background is dark, while the characters are light). 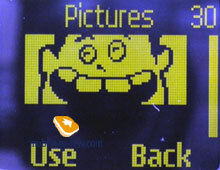 It is 96x68 pixels (27x21 mm) and has a yellow backlighting. 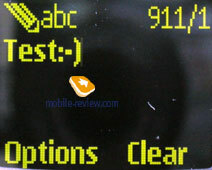 I found it unusual to work with this device for the first time due to its inversion screen. However, it is readable in the sun. 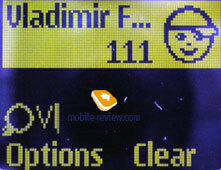 Not everybody will like the display of Nokia 1110, since many of us got used to working with a standard, not inversion one. It's a real pity the company didn't follow Alcatel's footsteps, and users are not allowed to change inversion view to usual and vice versa. 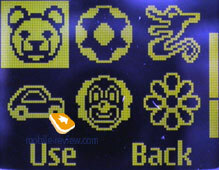 The keypad is made of silicone like the predecessors had, however now keys are separated with deep hollows. 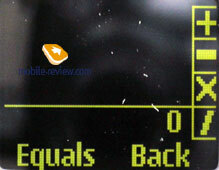 Besides, the 1110 has now a big 4D navi button, which eases navigation much. Numbers keys seemed quite large and comfortable to work with. Accidental pressures are excluded thus. 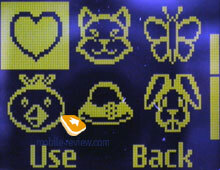 The keypad is backlit in white dull colour unevenly, which hardens reading characters on the buttons. The most of the back part is taken by a cover hiding a 900 mAh Li-Ion battery (BL-5C). The manufacturer claims it will last for 5.2 hours of talks and up to 380 hours of standby. In average this device worked for 6 days in Moscow, we spent 15 minutes on talks and up to 15 minutes on other functions a day. 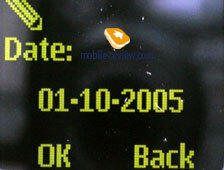 An interesting fact is the elder model Nokia 1600 works for a bit longer, however is equipped with a color screen. Complete recharging takes about 1.5 hours. 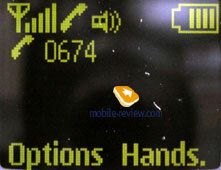 The main menu is untypical of Nokia's phones, and the company calls it plainer to deal with. 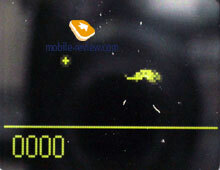 I think that the previous menu appearance was not harder, but drawn more interesting and clearer. The new menu is a horizontal row of icons, with only one shown at once. The first sublevel is in the same style; however the second one is plain text. 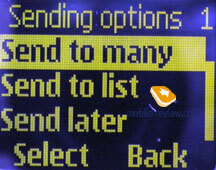 This menu will be used in all new company's low-end phones. 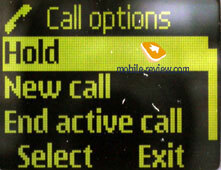 Call cancel button is also responsible for phone on/off and access to Nokia's standard menu for selecting a profile or turning the device off. 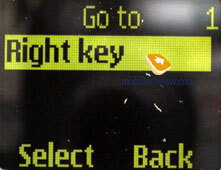 You can't use fast navigation using number series, however fast access menu is present and is assigned to the right functional key. You can add necessary items to your liking there. 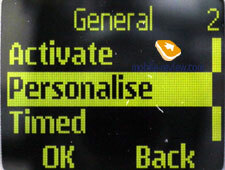 The following items are accessible from the standby mode by pressing the navi button - call list, writing a new message, contacts, and demo-mode. Phonebook. 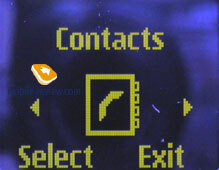 Phone memory can hold about 200 contacts. 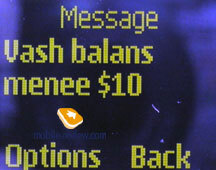 And each can have a name (up to 14 characters) and only one number assigned. Besides, you can bind one of preset pictures (totally 31). 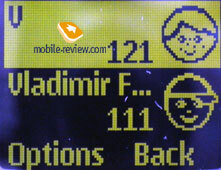 The picture assigned to a contact is shown at incoming, outgoing calls and in the call list. 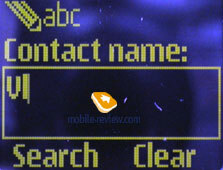 Search in the phonebook is possible by the first letters of the name. 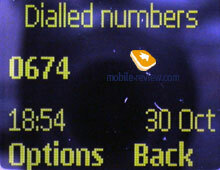 Also fast dialing for about 8 numbers is present. 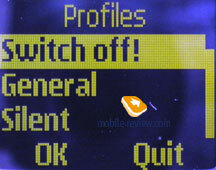 Besides, you can use a black list for filtering undesirable calls and messages. You will find it easy to use - just enter a user's number. The phonebook is modest. However, an undemanding user with little contact base will find it acceptable. Messages. 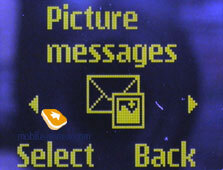 The phone memory allows keeping about 60 messages. 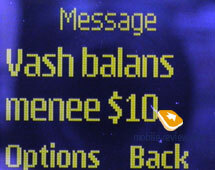 While entering a message, you can select a font-size (large or average), the first case shows one text line and the second one allows viewing two lies. 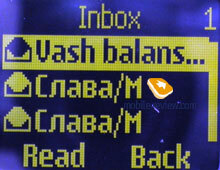 Multiple messaging is available; however, mailing lists should be created beforehand. 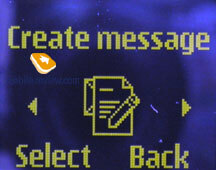 Smiles (totally 8) and text templates (totally 8) can be added to the message body. 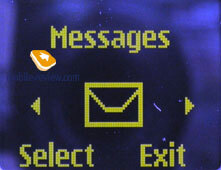 The chat function when all the messages are displayed on the screen is available. 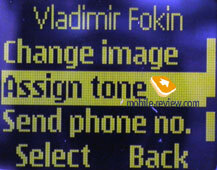 Nokia Smart Messaging is supported, to send a graphic message in this format; you have to enter a corresponding section with a set of 32 preset pictures. Call list. 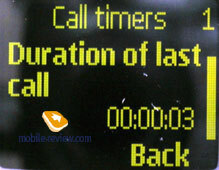 A call log of 30 received, missed and outgoing calls is here. 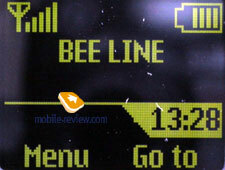 In this very section a call counter is provided. Settings. 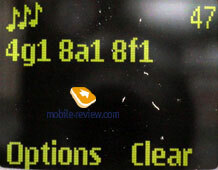 Calls setting are kept here; you can select a melody for incoming call, a message and some actions. Besides, there are 6 profiles completely adjusted by a user. 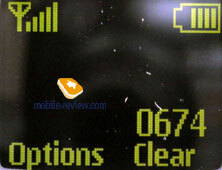 Other setting concerning the phone and the network are here. Time. 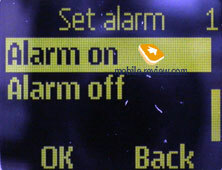 Only one alarm clock is present in the phone, it may be set both for one and for selected week days as well. 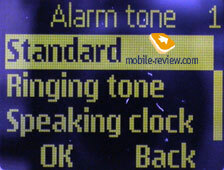 Here is speaking clock, which can be activated by pressing * in the standby mode. 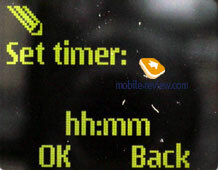 The presence of this function seems strange, since at home most of us have clock besides the one in the phone, however, using speaking clock outdoors or in a public place is unlikely. And the very voice announcing the time is no very pleasant, though belongs to a woman. But, listen to it yourself. 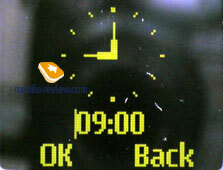 Sample of speaking clock (32 KB, mp3). Reminders. 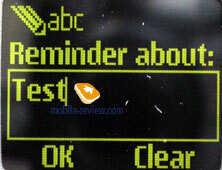 Plain reminders are available in the phone. 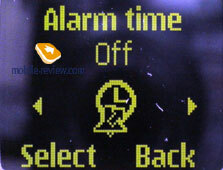 You are offered to enter text (up to 35 characters), set sound alert on, arrange time and date. Games. 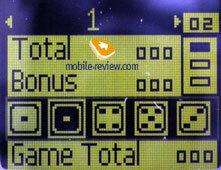 Three games are available in the phone, they are Pocket Carrom (game for logic), Dice Games (one more game for logic) and Snake Xenzia (a famous Snake). Extra. A plain melody editor, a plain calculator, a unit converter, a countdown timer, a stop watch and speaking clock again are placed here. 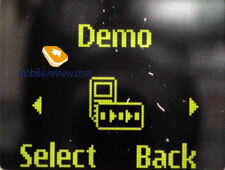 Demo-mode is also kept here, which is to help you get acquainted with the phone capabilities. 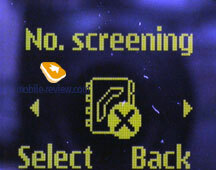 The device provides normal connection quality with no problems. 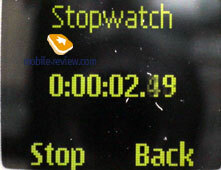 The volume of the loudspeaker is not enough sometimes, however, the microphone sensitivity is good. 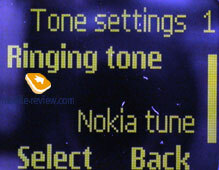 Nokia 1110 is equipped with 20-tones polyphony, and the quality of playing back preset melodies is really good. Of course, MP3 as a call melody is desirable, but unfortunately, the maker allows only preinstalled melodies in MP3 quality, though very close to the truth. 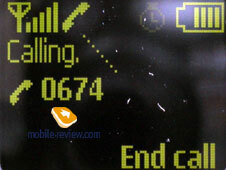 The call signal volume is rather high, and the call is hard to miss. The power of a vibracall is average and can be missed as well. Besides, speakerphone is realized rather well, you only need to press the right functional key during a conversation to activate it. 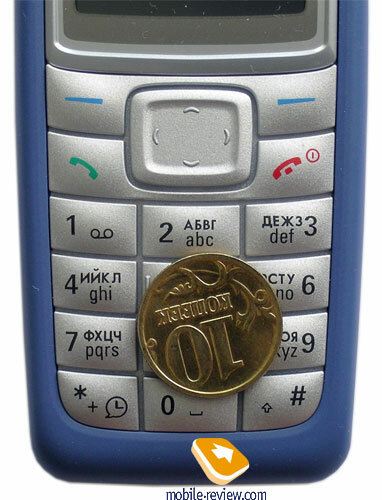 An interesting fact is Nokia 1110 costs approximately 80 dollars, which is 5-10 USD higher than Nokia 1101 and about 10-15 USD cheaper than Nokia 1600. 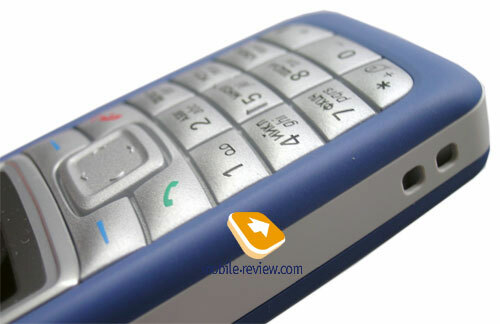 That is why the model will not be popular, since people needy of a plain phone will prefer Nokia 1101, and ones wishing a more interesting device will choose Nokia 1600.